Hi everyone! 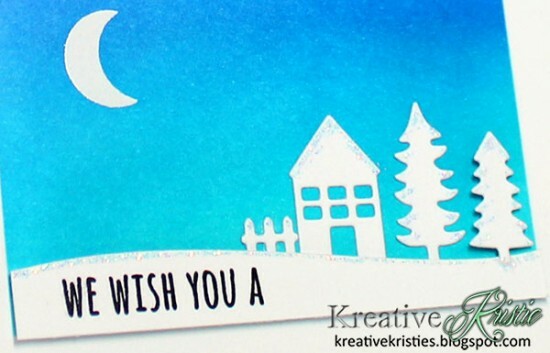 It's Kristie here with a clean & simple card using the Winterhaven dies & the Here We Come A-Caroling stamp set from the Winterhaven Stamp of Approval Collection. 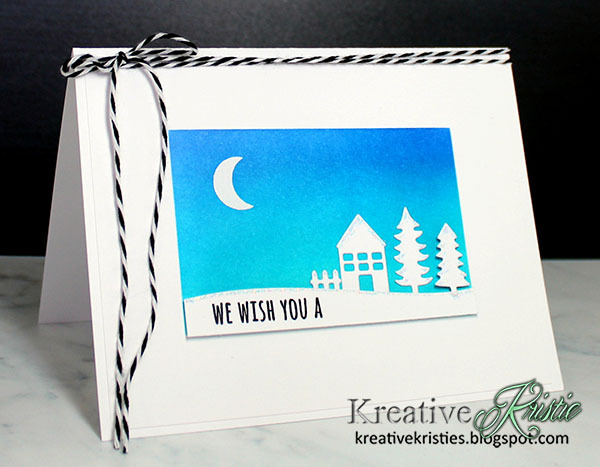 I wanted to create a serene, winter night scene on my card. 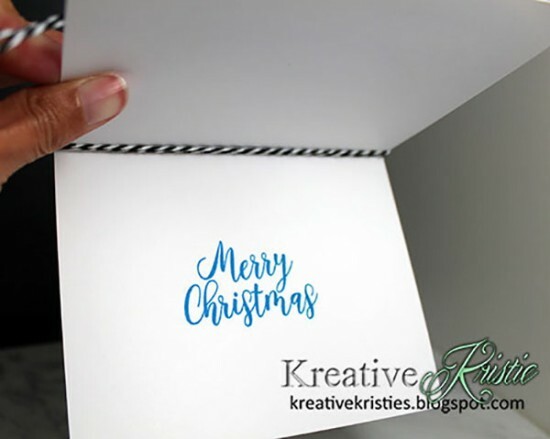 I started by masking off a rectangle in the center of my card stock. I blended blue inks to create my night sky. The moon was stamped and embossed in white. I stamped and embossed it after I had ink blended the panel, (made sure the ink was completely dry). You could certainly stamp and emboss it first! I die cut a hill, a house, fence and a couple trees from the die set to create my scene. it the original way it was created. The sparkle you see on the house, trees and snow bank can be achieved with Nuvo Sparkle Drops. 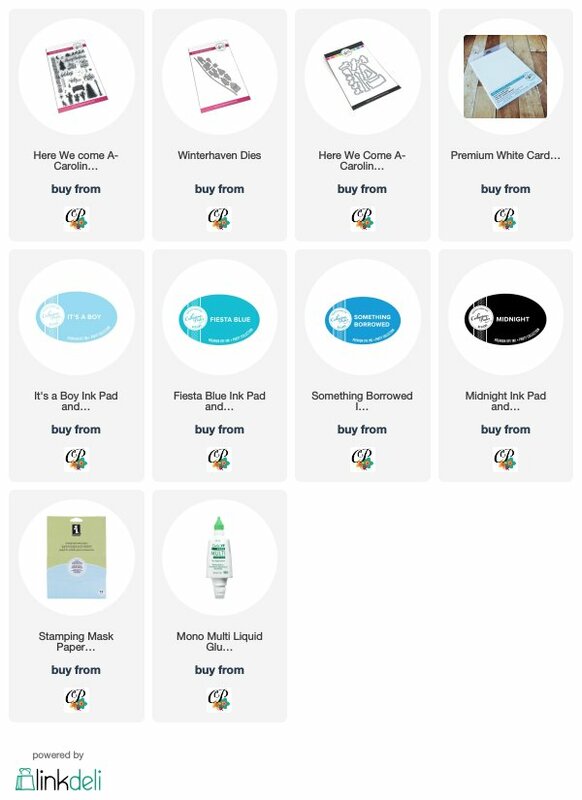 Thank you for stopping by today and for having me guest post Catherine!